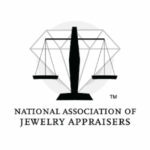 We are available to help with all of your jewelry appraisal needs. How do I access my appraisal online? Heritage Appraisers uses The Loupe (R) appraisal software system. All of our appraisals are securely stored online for easy access anytime, anywhere. Contact us if you need to sign up for online access or if you are having issues with the customer portal. How do I request a reprint (hard copy)? We will gladly reprint and mail your appraisal to you. Contact us with information to help us locate your appraisal and verify your identity. Simply click on the Request a Reprint link to the right. If your address has changed since your appraisal was completed or if your appraisal is 5 years old or more, please fill out the form below to request your reprint. Customers who have signed up for online access via The Loupe have unlimited download for 3 years. How do I request a change or correction to my appraisal? We can make any changes or corrections to our appraisals, ranging from spelling errors made by our appraisers to customers requesting changes to their names or address or even adding others authorized to access the appraisal. Contact us with information detailing the change requested. For name changes, upload a copy of the marriage or divorce decree. For an address change, upload a current copy of a utility bill. There is no fee for typos or spelling errors. Changes/ corrections will be processed and available online within 3-5 business days. Physical reprints will require an additional 2-3 business days for processing.